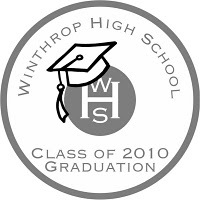 The graduation DVD for 2010 includes the entire graduation ceremony cut together from four camera angles ensuring that your child gets proper coverage for the big moment. Chapter selection allows you easy access to the part of the ceremony YOU want to watch. The DVD also includes the Class Night senior slideshow and the senior talent show from this year’s Winter Carnival event.